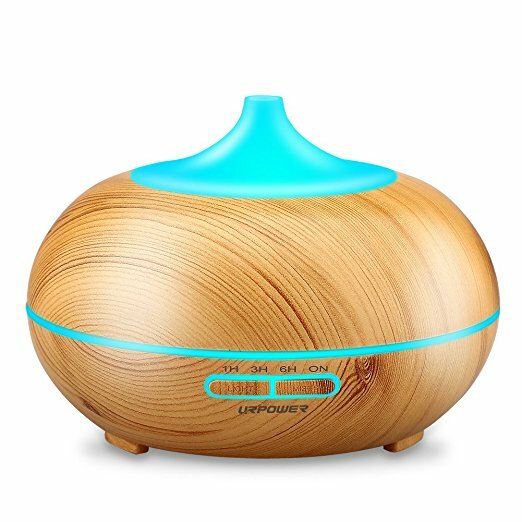 The URPOWER (300ml) wood grain essential oil diffuser uses advanced ultrasonic technology to disperse the benefits of essentials into the air. 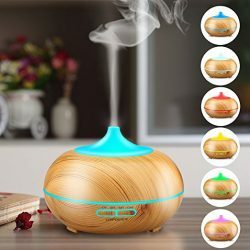 What’s more, it does not use heat, so it maintains the integrity of essential oils. 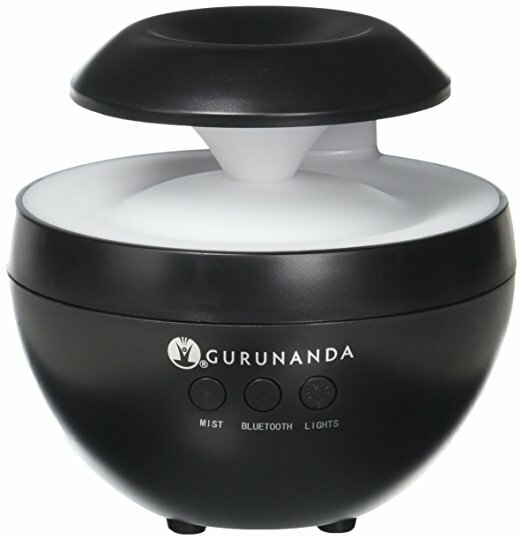 This makes it suitable for your office, spa, yoga studio, and any other medium- sized room. 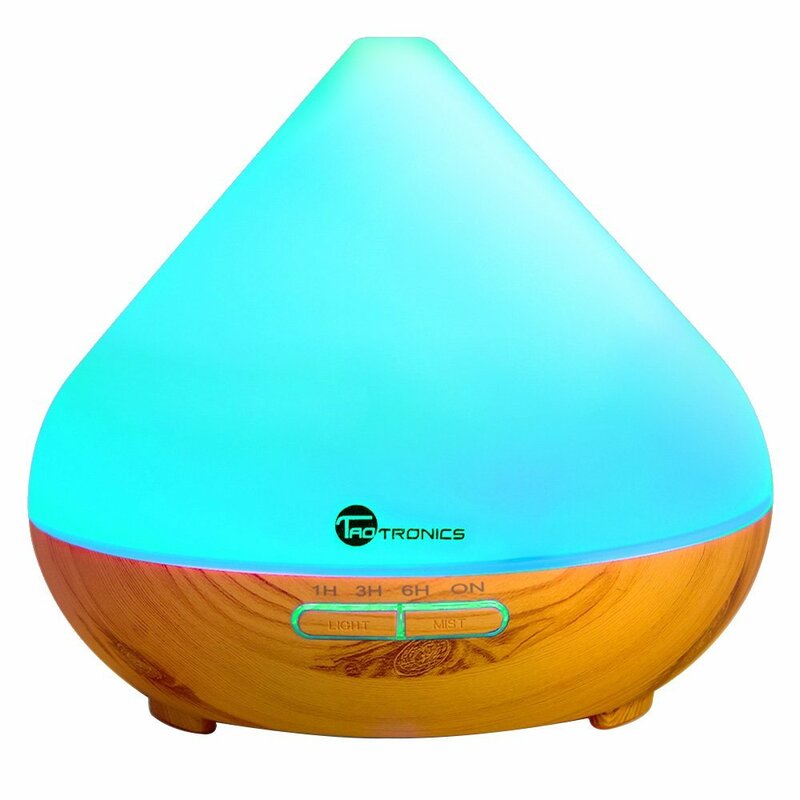 You can use the unit to elevate your mood, relieve stress, or remove unpleasant odors. 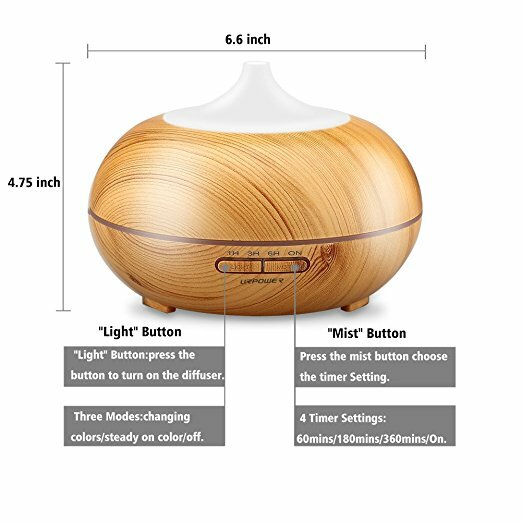 Here is the review of URPOWER (300ml) wood grain essential oil diffuser. The trendy modern wood grain finish is simply elegant. This sleek design is what makes it stand out from the rest. The water reservoir can hold up to 300ml of water. 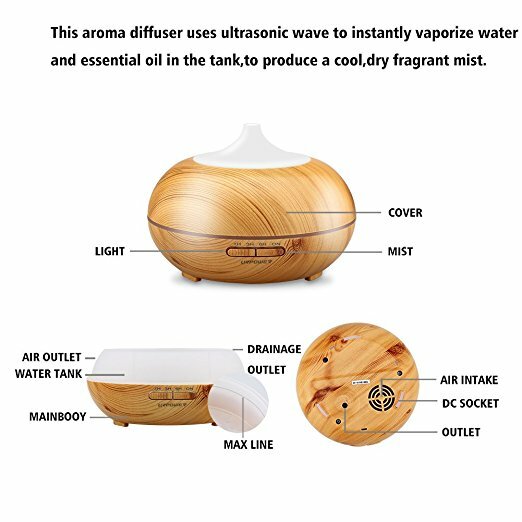 Once you fill the tank with water and your favorite essential oils, you can enjoy up to 10 hours of continuous mist. 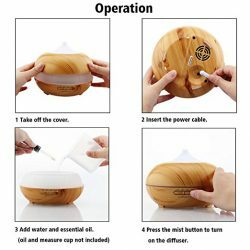 However, the unit can be used without essential oils to moisturize the dry air. This humidity is especially beneficial for irritated sinuses and dry coughs. One big perk, due to its large water capacity, you don’t have to keep refilling every few hours. 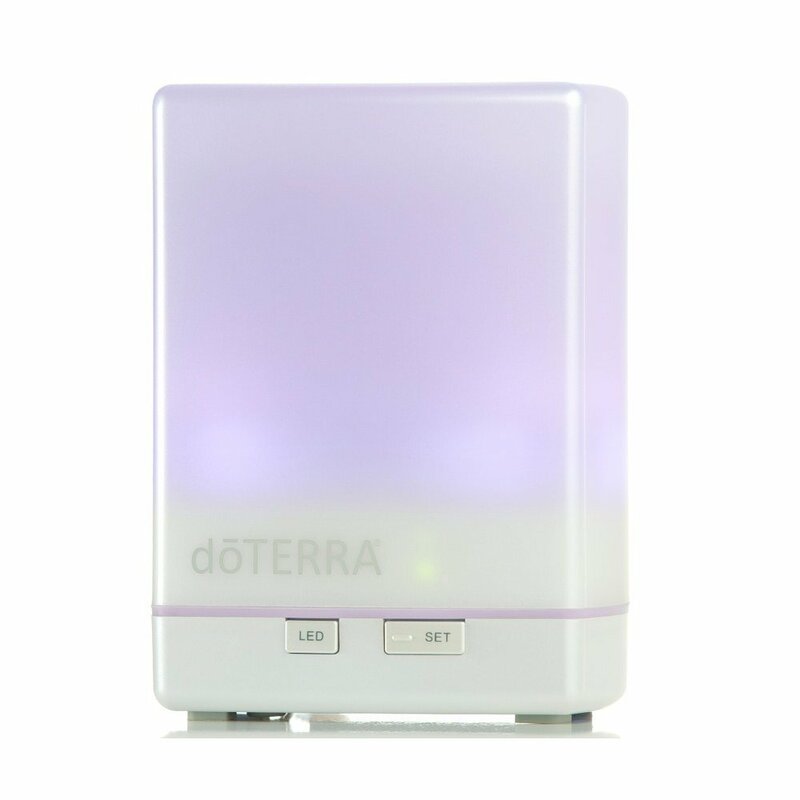 You can sit back and just enjoy the benefits of your favorite essential oils. 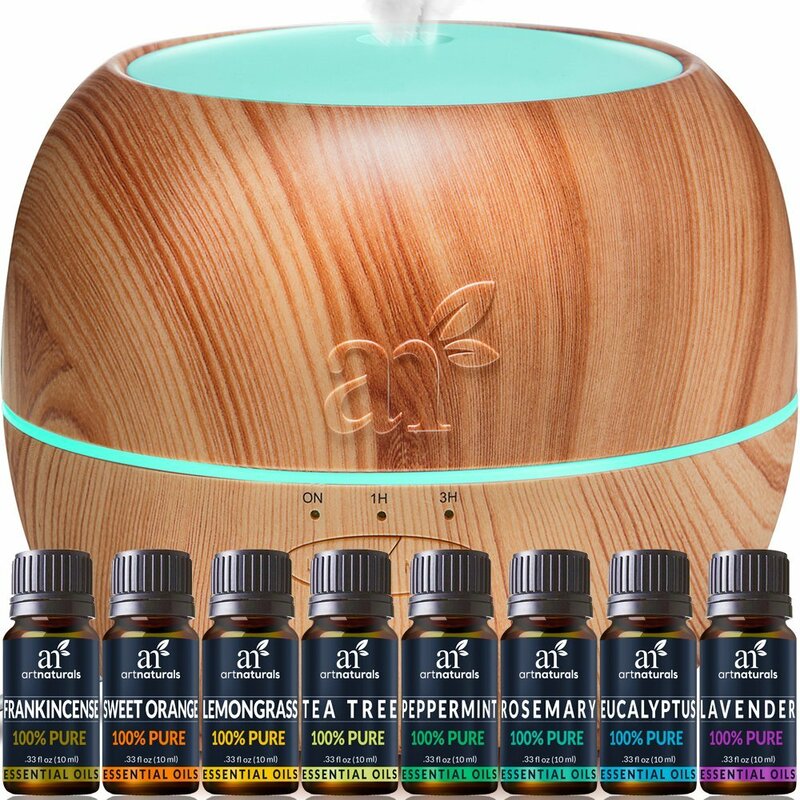 The diffuser comes with seven soothing rainbow colors to match your mood or décor. They include blue, yellow, white, pink, light blue, green and dark blue colors. Each of these lights can be adjusted between dim and bright mode to match your bedroom, living room, or your relaxation space. 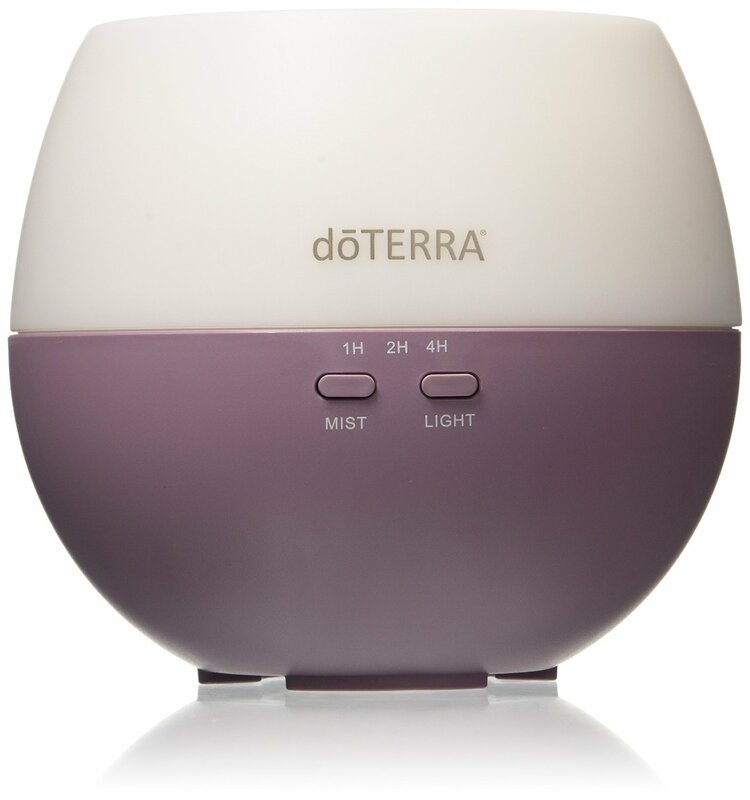 Another advantage this diffuser is that you can operate it with or without the lights on. 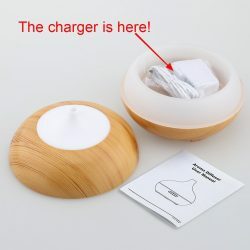 Additionally, the atomizer is fitted on one side to direct the mist where you want. 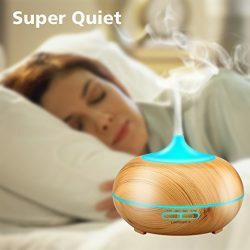 This is especially great if you’re placing your diffuser against a wall. The unit will shut down automatically when the water runs out. When you press a mist button at the bottom you’ll get four timer settings; 1hr, 3hr, 6hr and `on’. while the 6-hour setting is perfect for a good night sleep. 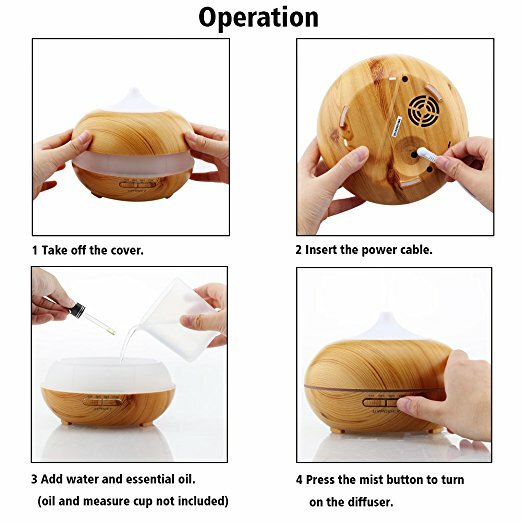 The manufacturer recommends that users not to press the mist button when the reservoir is empty; otherwise, it will burn out. The `on’ setting comes in handy when you want to run the unit the whole day. Without any doubt, the auto shut-off feature gives complete peace of mind. The unit can operate for 10 hours. The shut off feature stops the operation when water runs out. This means you don’t have to wake up in the middle of the night to refill the reservoir. URPOWER is uniquely designed to give your home a more natural finish. 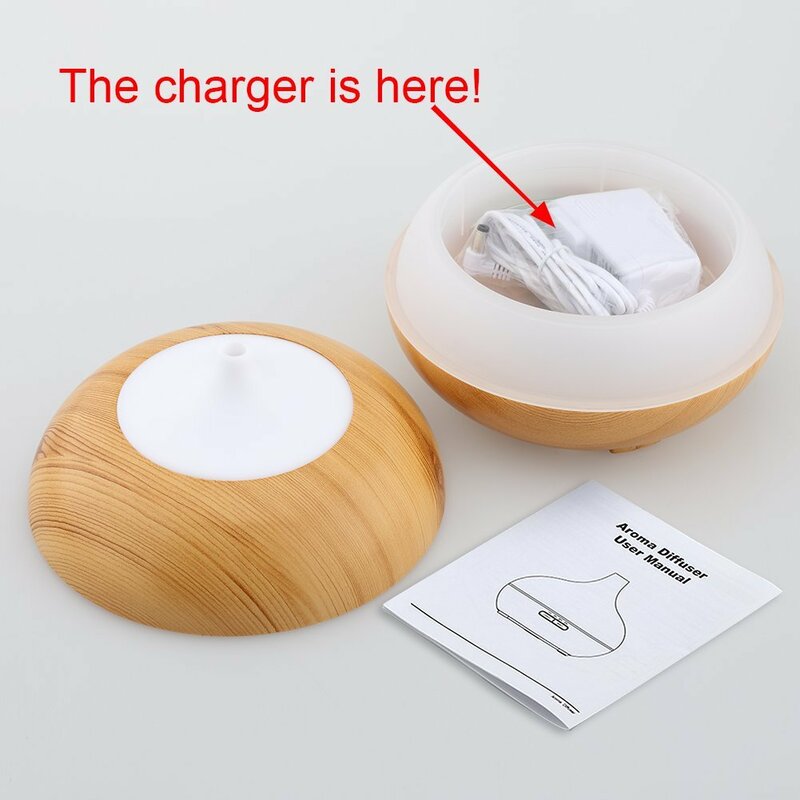 It acts as a humidifier, diffuser, purifier, ionizer, and as a nightlight. It can run for ten straight hours with a low mist thanks to the 300ml capacity. Also, when the water runs out, it will turn off automatically. Another reason why most customers fall in love with this unit is the fact that no heat is involved. 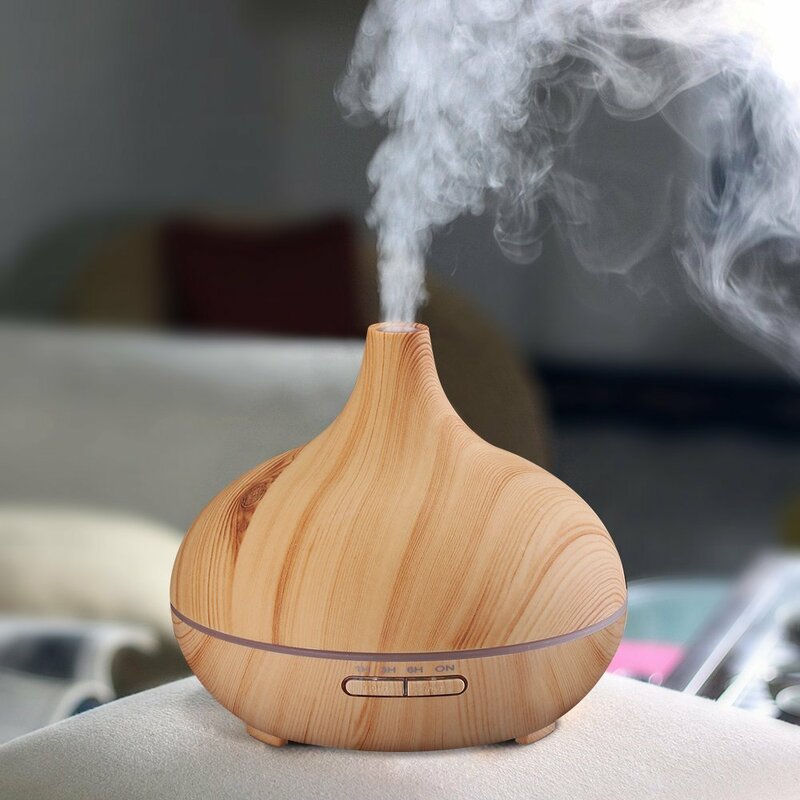 This means your essential oils will keep the holistic components that nature made. 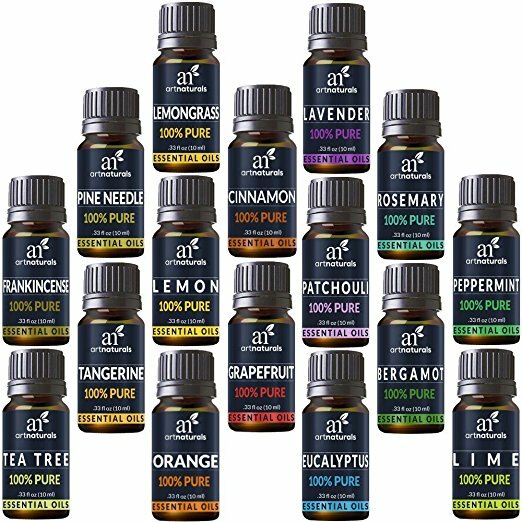 So, why use synthetic aromas when you can enjoy the natural benefits of essentials oils? 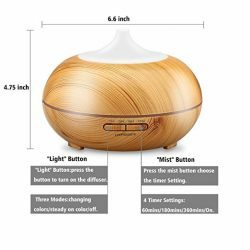 It’s time you feel true well-being with URPOWER 300ml wood grain essential oil diffuser. If you are looking for a unit for large spaces, this is certainly a purchase to consider.